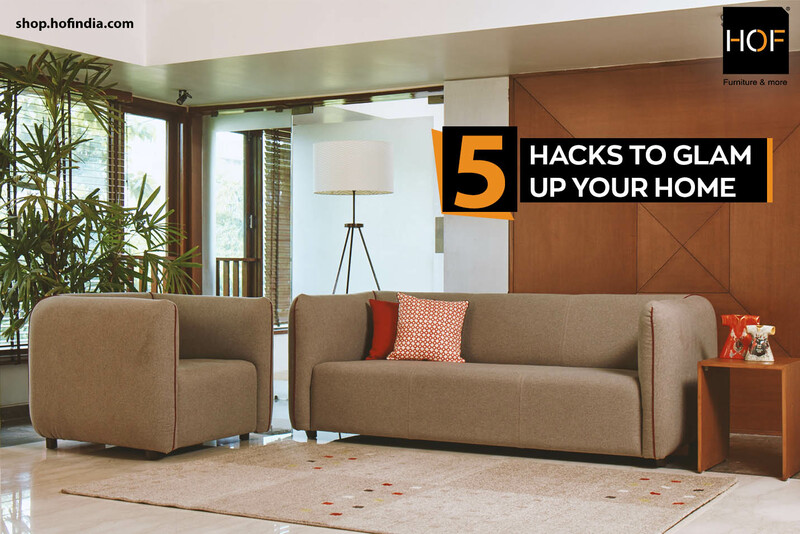 Redoing your house from scratch could often be difficult and expensive but changing a few elements and rearranging the same furniture in a new way can entirely spruce up the glam quotient of your house. A subtle dose of glamour can transform your abode into an enchanting place and make it more delightful and welcoming for your family and guests. 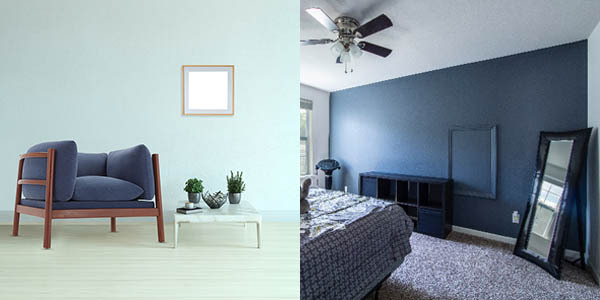 You can make your space a piece from iconic décor inspiration magazine by tweaking a few elements without the frustration of revamping the entire house and without putting a major dent in your bank balance. Let’s learn some tricks of the trade and revive your home with refreshing touch-ups. 1) Small Space? No Issues! If your rooms are too small and you’re wondering how to make it look chic and keep it at a modern edge, fret not! You can make your rooms look spacious by adding mirrors. Mirrors can create an illusion of space, add large framed, skinny mirrors behind a piece of furniture. You can also add group small mirrors collected from a thrift store to your walls in an organised manner. Mirrors can be added on the cabinets to make your home look fabulous and captivating. To give your room an uncluttered appearance, you can add small furniture to save up space and giving your room an edgy look. Check out the slender, leggy JALSA chair which is perfect for small spaces because they take up less visual space. You can be tricked into thinking that space is large because you can see under the legs of the furniture. It is highly recommended to use wallpapers that give an illusion of a bigger and wider space. Go with vertical and horizontal stripes, it will stretch the size of the room and make it look bigger than it actually is. A room that’s engulfed in natural light gives it a delightful sunny ambience making it a sight to behold. Make sure the furniture of the house doesn’t obstruct the way of natural sunlight, use linens and curtains in a light shade that create airy and feather-light ambience. However, there are spaces where natural light cannot reach, in that scenario, you can always add an artificial source of light. There are numerous varieties of lighting you can choose from, including low hanging lights, pedestal lights, chandeliers and modern designer lights. 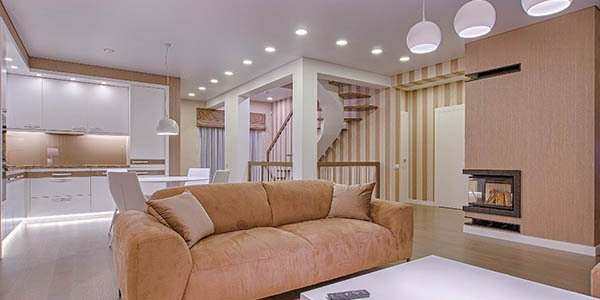 You can choose lights focusing upward from the floor to give your room a surreal and dreamy effect. Space can instantly liven up with greenery by bringing more character with its freshness and textures. Place quirky planters in pop colours if your ambience and furniture palette is on the duller side. Not only it provides a calmer environment but also contribute to your overall well – being by giving unadulterated oxygen and air. Put succulents, ferns, bonsai, money plants to enhance your décor. It’s safe to say that you’re not bored with your home but the hint of “sameness” everywhere and your spaces are begging for some novelty. Spruce up your spaces with statement furniture that accentuates your interiors. HOF has a variety of unconventional sumptuous sofa sets that will bring your living space to life. You can customize your sofa according to the palette of your walls and curtains to make it more appealing. It’s available in fabric, faux leather and genuine leather. Colours set the celebratory tone of your house and make it warmer and welcoming. This perfect trick is for people who love experimenting and never fail to jump on the bandwagon. Always go for things that you can remove when you get bored of them i.e. wallpapers, art pieces, drapes. You can always change the tone and aura of your house within the snap of a finger and be daring and bold. You can unleash your creative side without thinking twice. Revamping your home will not be a daunting task if you be mindful about a few major areas to work on. Keep your house uncluttered, clean and fresh. 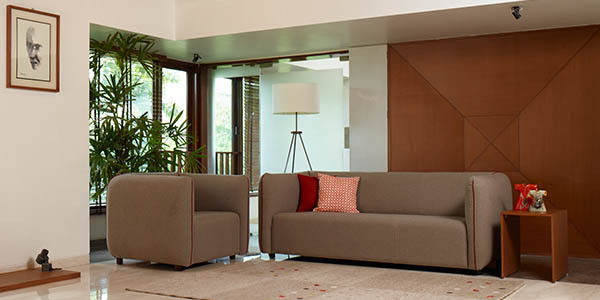 If you want to redesign your living space and are running out of ideas, go to shop.hofindia.com and browse through the ultimate range of customisable sofas.